According to an article in the most recent addition of Transport Topics, there has been a huge leap in Class 8 vehicle sales this summer. This marked increase includes a total of 19,373 units sold in June, one of the highest monthly totals since the last big surge in truck sales, almost eight years ago. This first half of the year has seen a 16.3% increase compared to the same time frame last year as well. 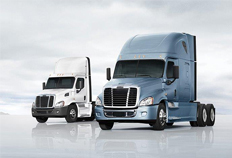 And while the success of the trucking industry in general is widely acknowledged, two of Daimler Trucks North America’s brands are doing particularly well: Freightliner and Western Star. As a dealer of both top-selling brands, Baltimore Freightliner-Western Star is thrilled to see the impressive sales figures appearing this year and proud to be a part of them. Freightliner, always in the top spot of trucking brands, rose in sales by 19.2%. Western Star was second place in the market share, and increased its individual sales by a whopping 48.2%. So what exactly is the driving force behind this sales surge? Transport Topics cites improving technology and related innovations as a big part of the appeal. Those in the trucking industry who have been relying on older models and fleets for years are seeing the value of improved fuel economy and efficiency of new truck models, and are looking to stay on the cutting edge in their field. Baltimore Freightliner-Western Star knows that as a go-to vendor of both these successful brands, they are representing quality products that have clearly been impressing people nationwide. Baltimore Freightliner-Western Star’s parent Daimler Trucks North America (DTNA) has exceeded even its own expectations this summer by achieving every one of its expansive SuperTruck program goals an entire year in advance. The goals were set back in early 2010 and were expected to take at least five years to meet, but DTNA’s commitment to excellence has gotten them there ahead of schedule. DTNA partnered with the U.S. Department of Energy when it first implemented the SuperTruck program. The focuses of the program were centered on performance and eco-friendly initiatives, including improving the efficiency of DTNA truck designs, cutting back on fuel consumption and use, and reducing greenhouse gas emissions. Programs focused on creating fuel-efficient and sustainable truck designs are of paramount importance in the industry; cutting back on fuel usage means that trucking becomes more affordable, reliable, and practical for the modern world. Increasingly, we are seeing hybrid and electric engine options being investigated, and “going green” in the trucking industry seems like a trend that is here to stay. Of course, having met the SuperTruck goals a year in advance doesn’t mean that DTNA is going to stop with their efforts. In fact, they are using the positive results of the initial SuperTruck goals to inspire new plans and innovations that will keep DTNA at the top of the trucking industry. Baltimore Freightliner-Western Star is proud to be a subsidiary of Daimler Trucks North America and to be participating with them in this exciting move towards the future of trucking. It’s not every day that a Western Star truck can be seen driving on the big screen, but with its top quality design, you can’t deny it has the X-factor needed by most movie stars. The director of the “Transformers” franchise, Michael Bay, introduced the world to the latest, most buzz-worthy celebrity on his blog recently; he featured pictures of the Western Star Optimus Prime truck, as well as some of the other vehicular vedettes of the fourth installment of the series, which stars Academy Award nominee Mark Wahlberg. But though the other cars featured in the film are wonderful designs, the top billing really goes to the Western Star, with its custom red and blue flames and chrome detailing. 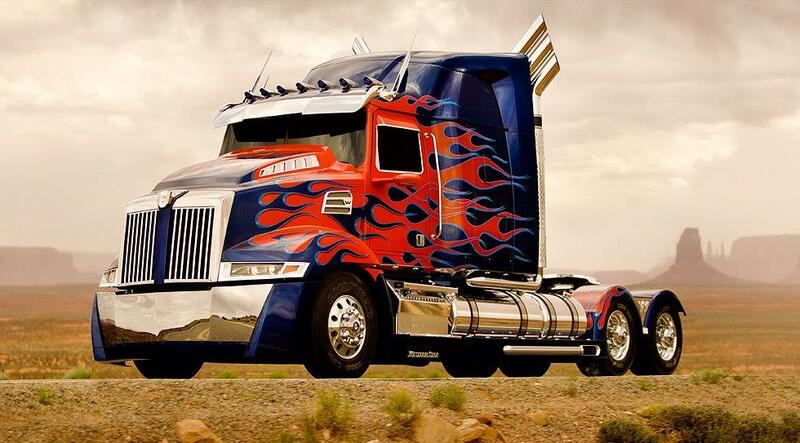 Baltimore Freightliner-Western Star’s team of custom paint job designers give it their seal of approval! Check out the pictures of the Western Star Optimus Prime truck below, and be sure to catch it cruising down the road in the latest “Transformers” movie this summer! Baltimore Freightliner-Western Star, a subsidiary of Daimler Trucks North America, recently received some big news for the trucking industry. 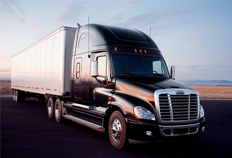 Daimler Trucks North America (DTNA) has followed many other companies and industries in getting today’s technology involved with how they do business. With DTNA’s latest innovation, the way customers have access to their products will be forever revolutionized. The concept of DTNA’s latest change is to make the things its customers need more accessible. It is an electronic commerce platform that connects customers with DTNA locations nationwide. When using the platform, customers can now see what trucking parts are available at which DTNA outlets, such as your local Baltimore Freightliner-Western Star. The system, known as “Pinnacle Truck Parts,” is just the most recent addition to the DTNA Pinnacle Fleet Solutions family. By incorporating efficient, reliable, and customer-friendly technology into their business plan, DTNA has changed the way those in the trucking business will be able to function. With the nature of the trucking business, you may not always be near your local trucking parts distributor when the need arises for a new part. By using DTNA’s Pinnacle Truck Parts platform, you will be able to locate the resources you need to continue running your business, no matter where you are in the country. Baltimore Freightliner-Western Star suggests keeping your eyes open for more technological additions to the trucking industry in the years to come; it’s changing the way that we all do business, for the better!